Q-tips are everywhere. You can find them in bathrooms, in doctor's office, and in episodes of CSI. But what exactly does the name mean? Ang Intaravichian/ShutterstockQ-tips, those hygienic products that you can use for everything from “gently applying ointments and creams,” to “clean[ing] and dust [ing] even hard to reach places,” are staples of doctor’s offices and medicine cabinets the whole world over. It’s no mystery that people often ignore the company’s warnings and use them as implements of ear-cleaning, but you know what is a mystery? 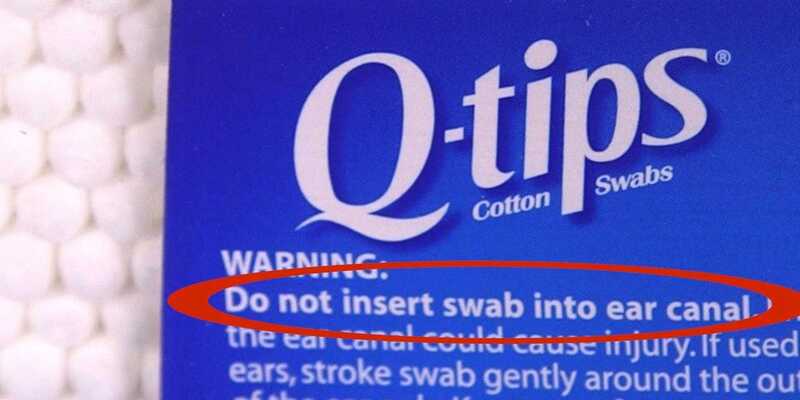 (Really, you should never, ever use them to clean your ears.) What in the heck the Q means. That’s right, the Q stands for quality. Q-tips were first conceived by Leo Gerstenzang, who observed his wife stick bits of cotton to toothpicks. He decided that his wife had the right idea and decided to found the Leo Gerstenzang Infant Novelty Co. in 1923, which would manufacture ready to use cotton swabs. Here are 25 words that don’t mean what you think they do. But the product wouldn’t pick up its now famous name until 1926. For the first three years, the cotton swabs were called “Baby Gays,” which the company would be modified to become “Q-tips® Baby Gays.” Eventually, they dropped “Baby Gays” altogether and were just left with Q-tips.